Sleep disruption, sleep deprivation, sleep disorders and disrupted circadian rhythms are commonplace in 21st-century Ontario, and yet we are only beginning to understand their impact on our health and well-being. The Ontario Sleep Health Study is an exciting new initiative that is helping to answer this question. To understand better the impact of sleep and circadian rhythms on the common health problems faced by Ontarians, particularly diabetes, heart disease, cancer, and brain diseases like stroke and Alzheimer’s disease. To understand better how our genes affect our sleep and circadian rhythms. Between 2014 and 2018, we are inviting up to 4,000 Ontarians to measure their sleep and circadian rhythms in the comfort of their own homes. These measurements will then be linked to health information contained in public health databases, as well as to health information and blood samples collected by the Ontario Health Study. By building a better understanding of the links between genes, sleep and circadian rhythm disruption, and the health and well-being of Ontarians, the Ontario Sleep Health Study may open the door to new sleep-related interventions to prevent diseases like diabetes, heart disease, cancer, and brain diseases like stroke and Alzheimer’s disease, and in so doing improve the health and well-being of Ontarians for generations to come. 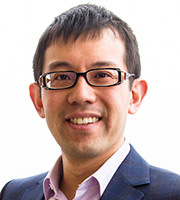 Dr. Lim is the principal investigator of the Ontario Sleep Health Study. He is a scientist in the Hurvitz Brain Sciences Research Program at Sunnybrook Research Institute, an assistant professor of neurology at the University of Toronto and a neurologist at Sunnybrook Health Sciences Centre in Toronto. He completed an MD and residency in neurology at U of T, a clinical sleep fellowship at the Beth Israel Deaconess Medical Center in Boston and a master’s degree in clinical investigation at Harvard Medical School. The focus of his practice is disorders of sleep and circadian biology. His research uses statistical genetic, neuropathological and epidemiological studies to understand better the genes and neural circuits that regulate individuals’ biological clocks and their sleep. The aim is to understand how disruption of sleep and biological rhythms, as seen in conditions such as insomnia, shift work and jet lag, affect individuals’ risks for common medical disorders like Alzheimer’s disease, Parkinson’s disease, heart disease and stroke. Andrew Centen is the study coordinator of the Ontario Sleep Health Study. Before starting in this role, Andrew opened and managed a private physiotherapy clinic and worked as a research coordinator in the Hurvitz Brain Sciences Research Program at Sunnybrook. He has completed a master of science in rehabilitation science at the University of Toronto and a bachelor of science in kinesiology at the University of Waterloo. The Ontario Sleep Health Study is supported by the Canadian Institutes of Health Research; the Heart and Stroke Foundation of Ontario; Ontario Ministry of Research, Innovation and Science; ResMed Corp; and Philips-Respironics.